Wow… it’s been a while since I’ve really written anything in this blog! I’ve made some kind of effort with the ramen but that kinda didn’t happen. Did it? Anyway, quick update. Hi. I’m Khursten. I now live in Australia. 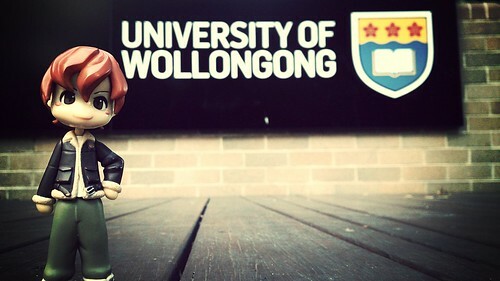 I’m a PhD student in the University of Wollongong which is part of NSW and the closest city to it is Sydney. As for my area of studies, it’s “Media, Communication, and Social Studies.” All that. I’m doing a bit of a study on BL and right now, my advisers are making sure I’m not writing 3 PhDs for my study. It’s a quiet life in Wollongong. A very VERY quiet life. Admittedly, I’ve been busy catching up to studies over the past few months that I really haven’t gone around much either. My student life is fun. There’s lots of resources here that I didn’t have access in Manila. And my advisers are amazing. We also have a duck pond in the university. And people have taken the habit of lying around the grass when the sun is out. I thought it was funny at first but once winter ended, I had greater appreciation for the sun. No regrets other than the really quiet evenings and weekends. The mall closes at 5 every weekdays. On weekends, it closes at 4. Yeah. SOCIAL LIFE! WHAT’S THAT!?! There’s not much cafes and restaurants in the downtown area. Then again, I really haven’t explored much. 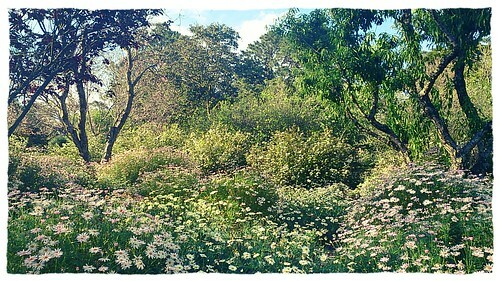 I mean, when your neighbour is the Botanical Gardens… you kinda have a very quiet life. So that’s a quick update since it must be weird that I’m talking about things happening and people might be reading “Where the bloody hell is that happening!? !” So yeah. By the end of my PhD, I expect to have some kind of Aussie accent! I have… lame goals in life. OTL. Hopefully, I have more time to update this blog. I really should!